With friends of all ages and skill levels, from children to masters. 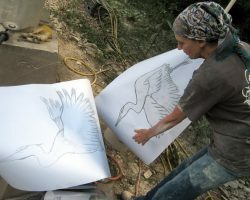 Janey was initially a professional calligrapher, then started carving letters in stone in 1985. 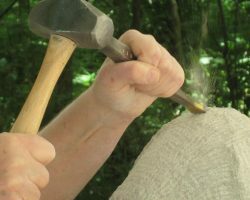 That led to stone sculpting and mosaic work. 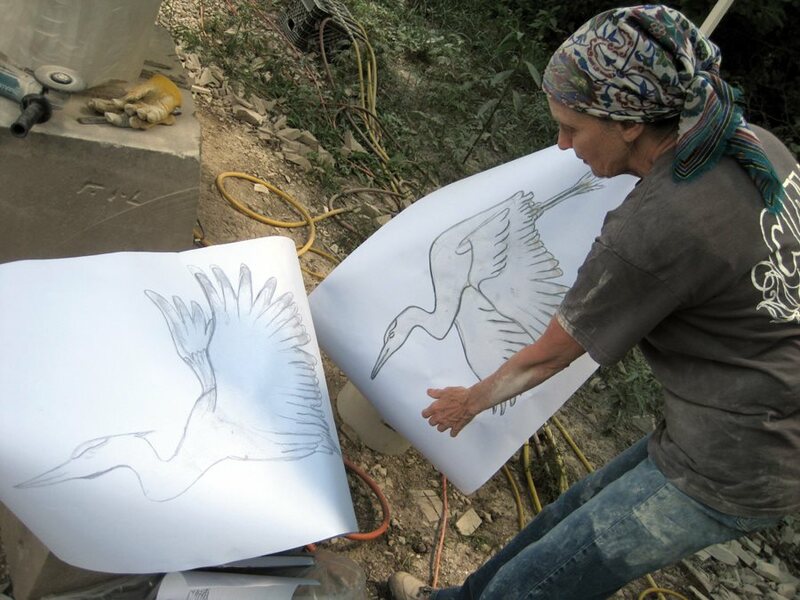 She has done commissioned work for religious institutions and cathedrals, colleges and universities, corporations and private clients ever since. Work is in all types of stone and ranges from letters 1/2″ to 24″ high, relief carving and full-size figurative work, to a 14 foot high image of a gilded lion. 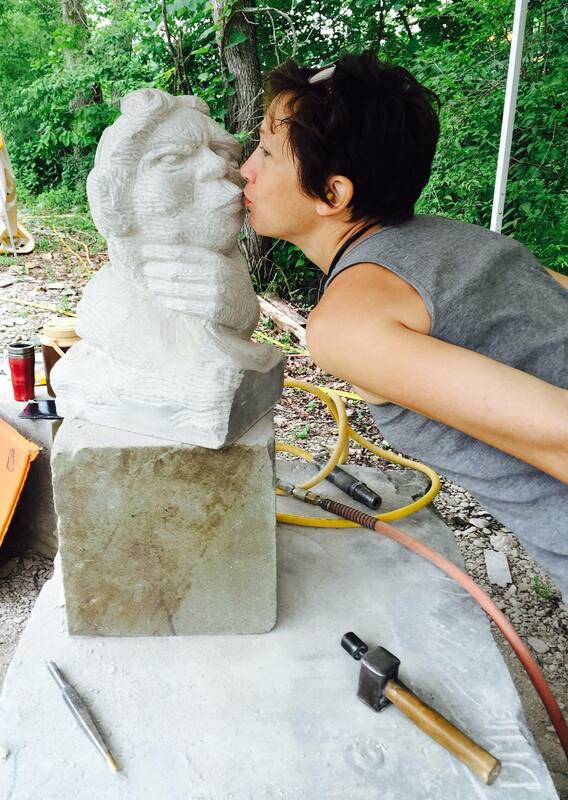 Her studio is in Edina, Minnesota. 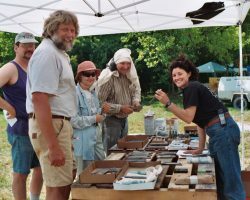 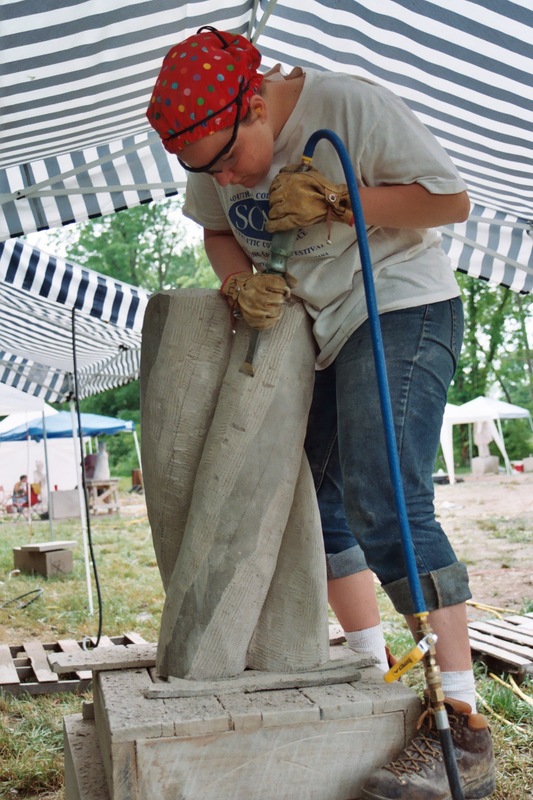 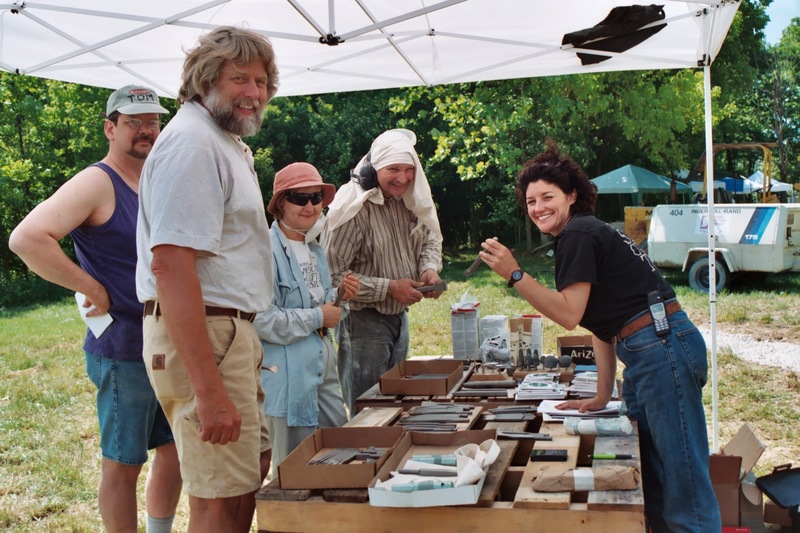 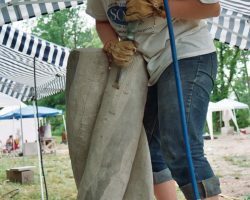 Workshops are led by nationally recognized stone artists experienced in both sculptural and architectural carving. 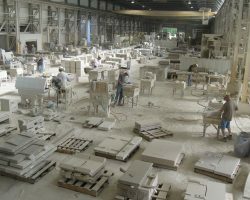 The Indiana Limestone Symposium takes place every June on the grounds of Bybee Stone Company in Ellettsville, Indiana.